Looking for a pure PvE Defiler Build. Greetings everyone. I hope there are at least a few active users left, because Im in need of some help. I played Requiem waaaaay back in S1, and wanted to return for old times sake. I have no intention to play the game very seriously, just a bit of casual fun. 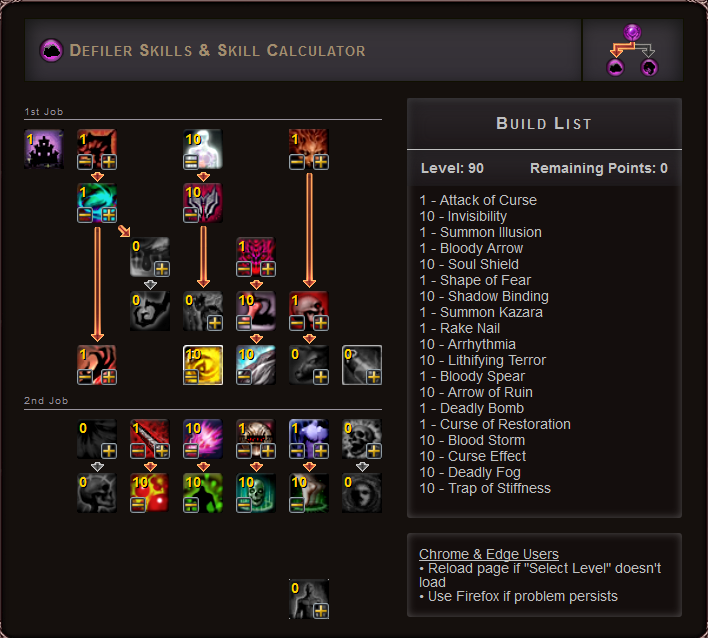 I played a Sin and a Dom back then, so now I decided to go with defiler. Too bad I have no Idea what to use. This is what I came up with, purly based on Memory and what I think would be usefull. Lithifying Terror and Shadow Binding for CC, maxed out Defensive Buffs, Trap of Stiffness, Deadly Fog, Blood Storm, Arrow of Ruin and Curse Effect for Endgame PvE AoE and Kazara, Lenatore and Rake because I remember the Shadow Hunters to be particulary useless until Level 50-60ish. Is my Build alright so far? Which Stat should I prioritize? Edited by 7323160714114303973, 16 July 2016 - 04:52 AM. "Vampiric Touch* + 30 P. DNA if you can afford - is a must have. "Shadow Binding" or "Lithifyng Terror" you wont need for PvE 5 Points into "Binding Soul" can Compensates. All other pretty self explanatory. Edited by SandySandman, 16 July 2016 - 05:53 AM. I wouldn't put magic mastery (curse) to level 5 but only to level 1, because there is a good amount at the first level. Those 4 points would put for sure into invisibility, that is a very useful buff in PVE (mobs don't have high accuracy). 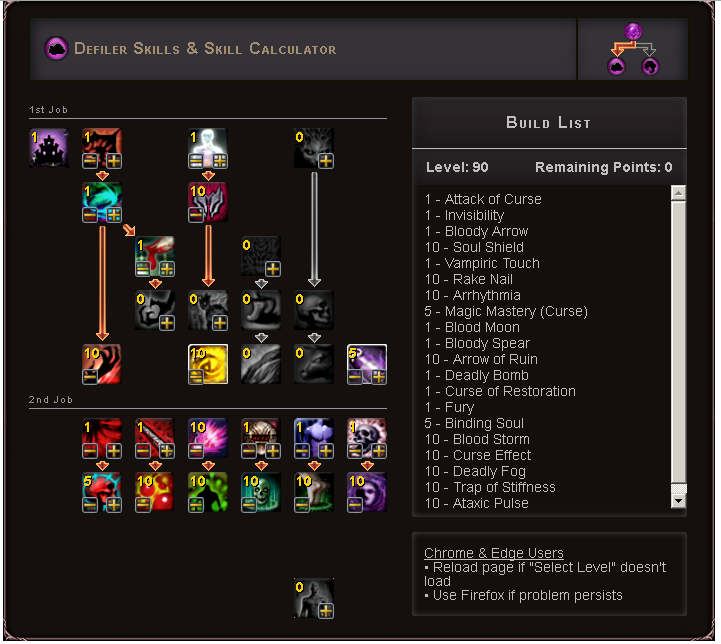 Also I would prefer few points on Shadow Binding than Binding Soul for PVE, much more versatile. Edited by Kazara, 19 July 2016 - 01:27 AM. well this Build focus around Block Succes. Which pretty means End Game. You won`t need evasion if you can Block it. Prob with Shadow binding is the Mob can still attack. If you stun him he can`t. But for save/faster lvling Kazara`s suggestion are pretty good. Evasion and S-Binding helps in early/mid Game very much. So ya give it a try an reskill later when there is a free Skill reset NPC in Game.